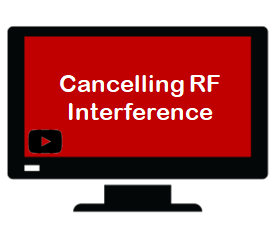 Take a look at how to cancel radio frequency interference. Here is an ANC-4 demonstration video. Just click here to watch the video. If you want to skip the theory and go right to the examples, advance to around 11 minutes. Neither the Timewave ANC-4 nor MFJ-1026 are cheap. But they aren’t that expensive, either. If you have invested funds in a good radio receiver for HF, not to mention putting up an antenna, a noise canceller will help you get a better return on your investment. In other words, you will enjoy shortwave listening or ham radio a lot more. While cancelling interference is great, getting rid of RFI sources is even better. Particularly in your own home where you have more control over things. To diagnose interference, you may want to check my other Adventures with RFI video from a few years ago. I should mention two other devices that should do the job. The first is the DX Engineering NCC-2 Antenna Phasing System. It appears to be solidly built and capable of very precise phasing. Here is a demonstration. Another possible solution is the DXTools Quantum Phaser. Antenna phasing systems are used extensively by low band and medium wave DXers to steer a pair of antennas to reduce interference from local or other stations. They can be quite effective at noise cancelling, too.